Customer stories, service highlights and tech tips to help move your business forward. Grow your visitor base. Generate leads. Boost sales. Increase brand awareness. Make the most out of your investment into your company’s website. These are all common reasons why you should want to optimize your site for search engines like Google. We put together some tried and true methods that will bump your site up to the top of Google’s search results. Google – being the number one search engine in the world – is our search standard and benchmark that we use when it comes to consulting on client websites and our own CopperHill site. TrustRank: A fair number of sites on the web are now considered to be authoritative and trusted around the world – meaning their content is verifiable, the companies are legitimate, and their contact details are readily available. Think about companies like Sears, LinkedIn, New York Times, Ford, and Microsoft. It may seem obvious that these sites can be trusted because of their established brands and historical track record. Many smaller and lesser-known sites follow similar methods as these large ones do on the road to becoming a web authority. TrustRank is Google’s way of seeing how many and which of these authoritative sites link back to your own, and in turn, help to boost your SEO rank. This could be links to social pages and shares, press releases, blog posts, or links on partner sites. In this example, it definitely helps to have friends in high places. Title Keyword: Keywords appearing in your site content in a variety of contexts is extremely important for keeping your site at the top ranks of Google’s front page. Perhaps the most important place for a search keyword to show up is the HTML Title tag. The title for your site is pulled in – and in some cases even morphed on search results – by Google in an attempt to better target your keyword audience. It is shown in Google’s search results as the clickable link you see for each site. Title tags are often used in text-to-speech for blind visitors to your site – so you’ll also get a boost since your site is accessible to all visitors. Sitemap: Sitemaps may seem like a 90s concept. I can even remember putting one together for my high school website project in computer science class. And, because it helped me meet the minimum required pages for the project, I didn’t complain at the time! Nowadays, a lot of designers and developers would use the word “tacky” to describe sitemaps for websites. However, the sitemap Google is looking for to help index your site, is a bit different. 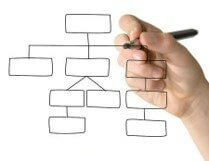 This type of sitemap is more code-based, and often inaccessible to visitors from your other site pages. Google can find your sitemap via a standalone URL, then quickly crawl your content and site pages to help speed up your SEO efforts and reflect changes. Even with a sitemap, it can take Google more than 2 weeks to find all of your content. Without one, it could take more than double that time! 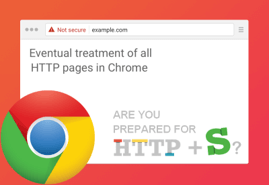 HTTPS/SSL: Google Chrome, starting in July, will call out insecure sites – meaning its only using HTTP, not HTTPS, protocol – in bold, red text. Chrome will indicate sites that are protected and secure with SSL (Secure Sockets Layer) using the HTTPS protocol using green text. SSL is the secure layer of encryption that sites use to send any kind of data across the Internet. For years, this standard was considered only as a best practice for sites that gathered sensitive information on their visitors or for use on login screens. But the complexity of partially implemented SSL on sites and the increase of improved techniques for snooping on internet traffic have pushed Google into heavily promoting the idea of site-wide security, and therefore it plays a significant role in SEO. The stark contrast between red and green could mean the difference in receiving a favorable and unfavorable SEO rank from Google. Mobile-optimized: It’s no secret that smartphones and tablets have taken over our society. Almost everyone – from the teenagers in the youth group at which I volunteer to my 82-year-old grandfather – has gotten on the mobile phone train. The teens and older folks alike want the ability to stay even more connected to friends & family. This dynamic opens a great opportunity for a wide variety of people to discover your site in a new way. To help the young and the old see the beautiful site you’ve created, you’ll want to keep them in mind by implementing some form of mobile optimization for various screen sizes. At CopperHill, we like to take the responsive design approach which reflows your content – images, text, dynamic pieces, integrations, links, and forms – so the layouts better fit smartphone and tablet devices. None of these optimization efforts has been lost on Google, as they take into account the need for your site to work well on small and large screens alike. 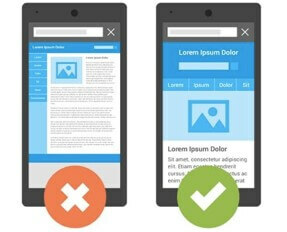 Optimize your site for mobile and tablet, and your SEO will thank you. If you find that your company’s website has dropped in SEO rank over time, we have some more advanced methods for bringing it back to the top of the results. If you have any questions, please feel free to contact us for additional information! 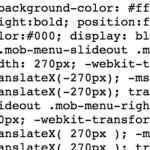 Minification: The literal removal of whitespace -space, tab, carriage return – in site code which helps to reduce page file size. This technique speeds up the time it takes your site to load, Google factors into site rankings. Compression: Create shortcuts in your site’s code where patterns of text may exist multiple times. Let’s say for example, if you have a line of text on your site that says “There’s no place like home” and it appears 8 or 9 times because you really enjoy the Wizard of Oz and want that phrase to make an impact on your visitors. Now, that’s a fairly long line of text compared to perhaps “#dorothy”. Compression lets our browser know that #dorothy should be a stand-in for the popular quote. Now, we’ve just saved about 18 characters of text for each occurrence of “There’s no place like home”. This approach is just another way to help reduce page file size, increase page load speed, and improve your site ranking. Content Delivery Networks (CDN): CDNs also help speed up your site. Here’s how they work: Your visitor’s browser makes a request to a web server in the cloud, then the server responds with a page. 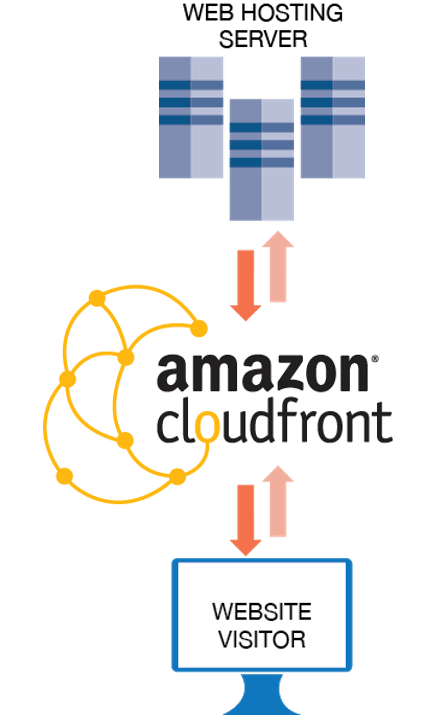 A CDN – such as Amazon’s Cloudfront – will sit in the middle and cache the page and any attached resources at a geographic location close to the visitor. This technology greatly reduces the time it takes for a page to load by reducing the distance for data to travel. Content, Keywords, Slugs, Title: It is possible that if your SEO rank has dropped, you’ll want to check that your content, URL slugs, and title sync up with the search terms your site visitors are entering to find you through Google. Not only will your SEO increase, but it will keep your messaging consistent across the pages on your site. 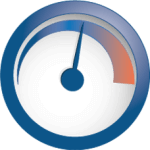 Browser Caching: Browser caching is the sister technology of CDNs like Amazon’s Cloudfront. With browser caching, pages and resources are saved locally on your visitors’ machines for a specified amount of time, and again, it greatly reduces the time it takes for your visitors to load a page. Follow these tips and best practices and you’ll stay on top of your SEO game – and your site will stay at the top of Google’s search ranks. Whether you’re looking to build, relaunch, or redesign your company’s website, the CopperHill team is here to help! 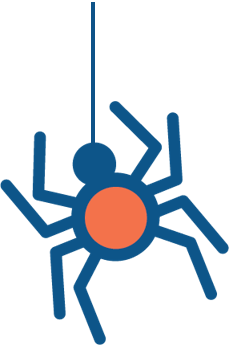 Learn more about our web design and development capabilities or contact us for more information. COPYRIGHT © 2017-2019 | COPPERHILL CONSULTING | ALL RIGHTS RESERVED.